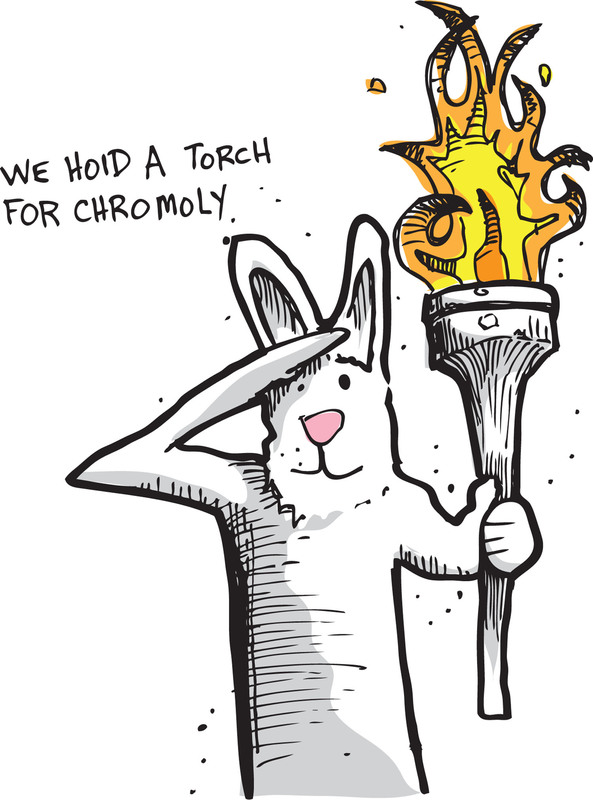 A Story about our Drawnright tubing and the Goodship. Bicycle frame builders can use butted tube sets to save weight, to control the feel of the frame and to improve durability by moving the “flex” of the frame away from critical places like welds and other highly stressed areas. A lot of brands and frame builders will point out that they are using “butted tubes”, however, when using an off-the-shelf tube set, the position and thickness of the butting will generally be designed to work on a wide range of frame sizes and geometries, and this can create a mix of benefits that are largely a compromise. Therefore, when it comes to designing the frame they are limited to working within the constraints and benefits of the off-the-shelf tube set that they have chosen for the project. Branded off-the-shelf tube sets are formed as either seamed (sometimes called “welded”) or seamless tubes. 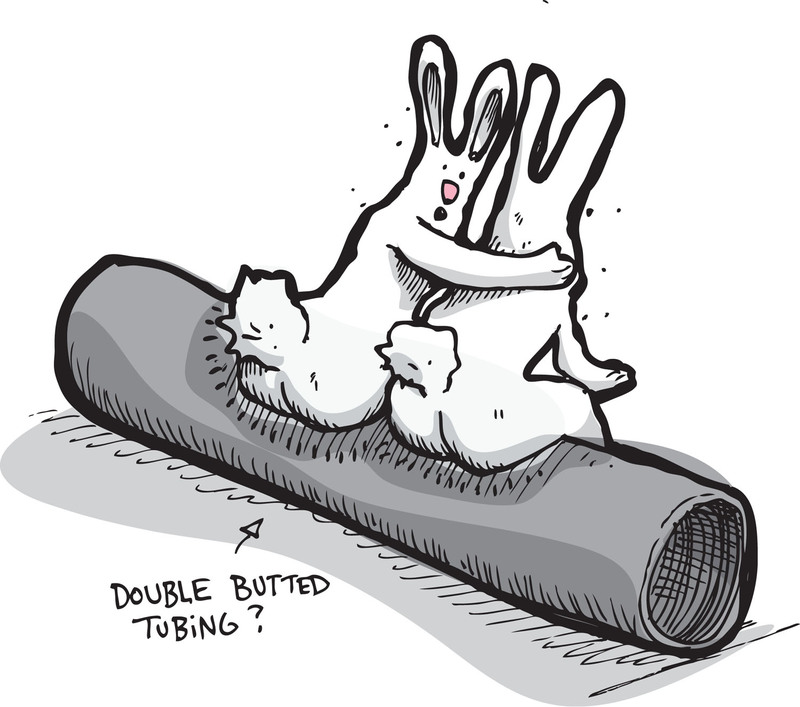 Often, the way that the tube has been formed is never identified by the manufacturer, even when the tube set is coming from high-end tubing suppliers. 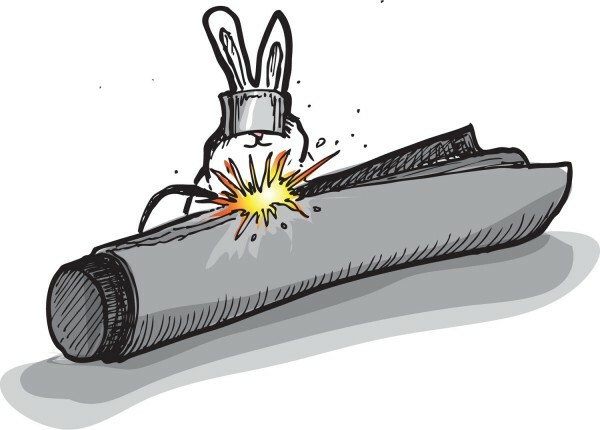 Seamed or “welded” tubes are made by taking a rolled strip of steel and wrapping it around to a form a tube. A weld is then used to form a seam that closes the strip together. In this case, no matter how well the tube has been drawn, it will always have its seam as an imperfect area that can affect the tube’s integrity. The only real reason to ever choose a seamed tube is to avoid the seamless tube’s added cost. Seamless tubes are made by starting with a solid steel cylinder. The cylinder then has a large spike driven through the center (with an enormous amount of force) to form a fat, thick-walled tube shape. This heavy-gauge, forged tube is then drawn out many times through multiple forming stages until a long, thin walled tube has been created. 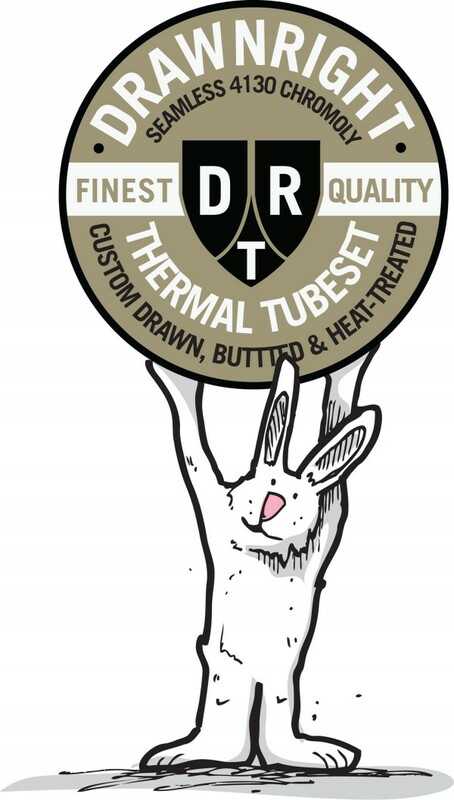 The integrity of the original billet is maintained throughout the drawing process, resulting in a strong and reliable tube. Seamless tubes are superior to seamed tubes because there is no imperfect seam for the frame maker to worry about, and the finished tube also tends to be much “straighter” at the end of its forming process. However, since making seamless tubes is much more difficult, its advantages obviously come with a higher price tag. The number designations and trade names on off-the-shelf tube sets are generally used to identify the various processes that have been used to form the tube, or to identify the tube set’s intended application, rather than specifying the actual grade of the material. With chromoly steel, bicycle tube sets of every type are generally comparable to the 4000 grade series, and usually very close to the USA standard, 4130. Typical Japanese chromolys are designated as SCM430. This is a grade of steel that is very close to 4130 but with slightly tighter constraints on the material’s impurities, and a slightly higher percentage range for the desirable alloying metals. 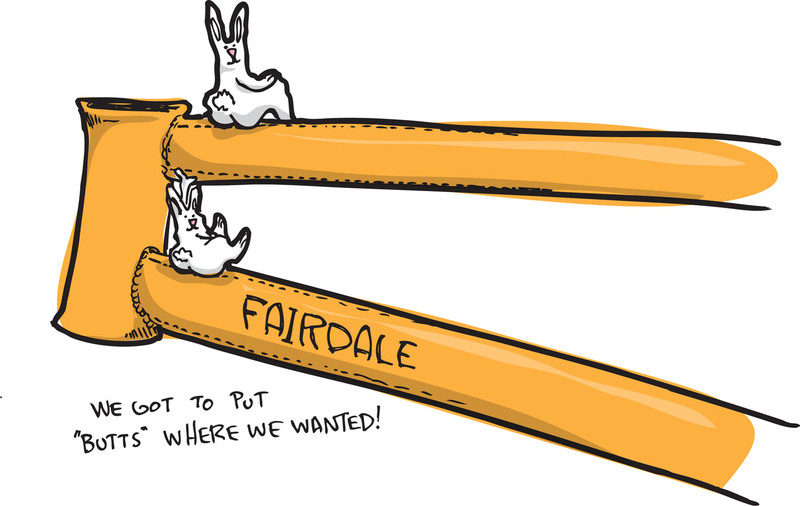 Fairdale’s R&D team are able to call on years of experience in all of the most important areas of their fields – with solid engineering backgrounds, decades of experience working on the cutting edge with custom butted, chromoly tubes at the highest levels in BMX, and a team leader who has been riding on the road for 25 years now on steel, titanium, full carbon bikes, and nearly every combination of the three. While it would undoubtedly be easier for Fairdale to pick a tube set off-the-shelf and be able to simply say that the tubing comes from a respected brand name, it wouldn’t be the “best” way for us to make a frame. By doing all of the extra work ourselves, creating our own custom seamless tube sets, and taking advantage of features like the Goodship’s oversized downtube, we ended up with a frame and fork set that is light and strong with an outstanding ride quality, and we did it without breaking the bank too.